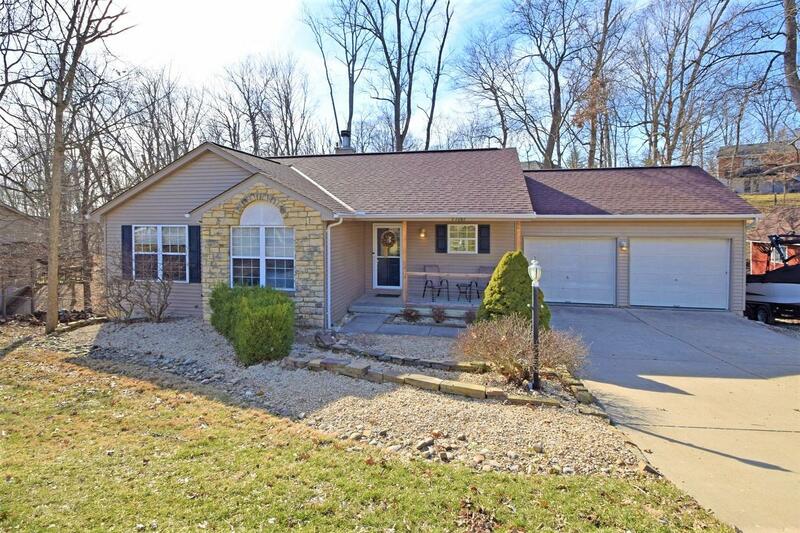 Beautifully-maintained ranch on two wooded lots in the resort community of Hidden Valley Lake. Open flr plan w/cath ceilings & lots of bright wdws. LR w/handsome stone FP & walks out to deck. Kit/dining area has Corian countertops & hrdwd flrs. Bedrooms feature handy closet organizers. Fin LL w/w-out has wet bar & office that could be 4th bedroom!